There would be very few UK residents or punters from around the world not familiar with the William Hill brand. 15,000 employees worldwide, 2,300 betting shops throughout the UK/Ireland and a London Stock Exchange listing in 2002. 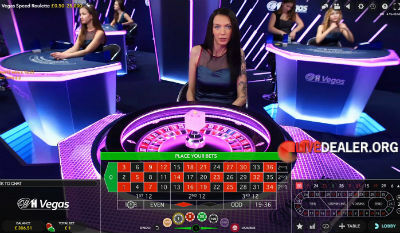 William Hill Live Casino primarily powered by Evolution Gaming (under the ‘Live Casino’ tab), including multiple private live casino areas and an enormous range of tables and dealers to choose from. In November 2018, tables from NetEnt were added here also. 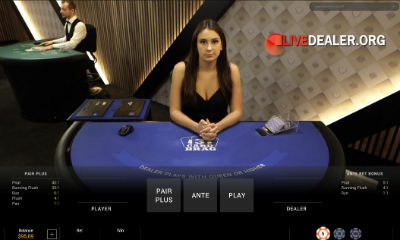 William Hill live dealers powered by Playtech (under the ‘Casino’ tab). It’s clear from the relative investments in these casinos that their live game focus is very much on the Evolution Gaming offering. Both casinos are part of the William Hill Plc group of companies, licensed in Gibraltar (and by the UK Gambling for British customers) and audited and certified by TST Inc.
William Hill are in the process of revamping their private table offering. Of course the regular (Evolution Gaming) floor tables are also available. Punto Banco live baccarat with pairs side bet option, full road map presentations and BIG limits. All games dealt from 8 deck shoe with Blackjack paying 3:2, dealer standing all 17s, double down and spit (including Aces) available. Four Evolution Gaming live poker tables to choose from…all player versus house games. Player versus the house poker. If you have a better 5-card hand (pockets, and flop, turn, river cards) than the dealer you win. Ante and/or optional Bonus bet gets you in the game. 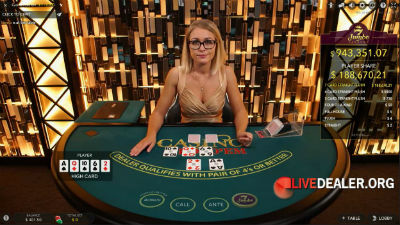 A Call bet after the flop (2x Ante) allows you to beat the dealer’s hand. You get three cards, dealer draws three cards. Best 3 card poker hand wins. 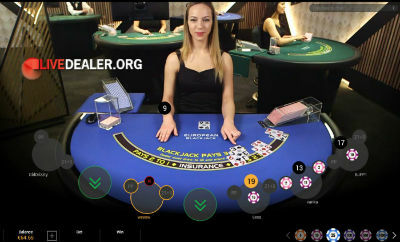 A recent addition – play the all access Texas Holdem table, or William Hill’s private table, pictured. Check or raise post Pockets, Flop, or River. 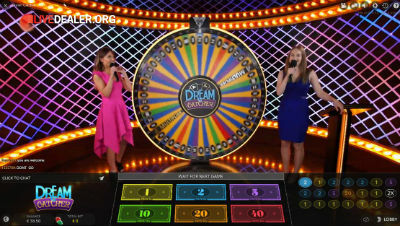 Dreamcatcher is Evolution’s money wheel game, launched in 2017. The Mayfair private area at William Hill, themed after London’s Mayfair Casino, with limits to match and Mayfair trained VIP hosts. The Macau private area at William Hill, themed after the world’s casino capital. 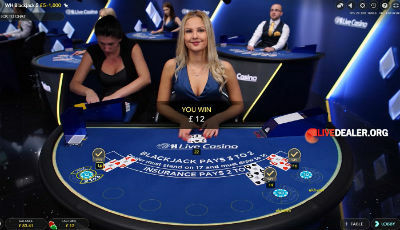 You can play all available live games (William Hill private and general floor tables) on your mobile device (iOS and Android) at William Hill. Evolution Gaming are arguably the leading live games platform (certainly the most awarded). Add to this the fact that William Hill have aggressively leveraged this by adding the largest private/dedicated room in Evolution’s Riga premises, and their offering becomes a pretty impressive one. Standard bets and payouts apply across all tables. Player versus the house. An Ante bet gets you pocket cards and a look at the flop. 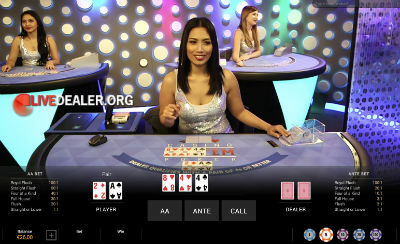 A Call bet gets a look at the Turn, River and dealer’s cards. Deal is from a single deck, reshuffled prior to each deal (that’s the shuffler standing on the left). 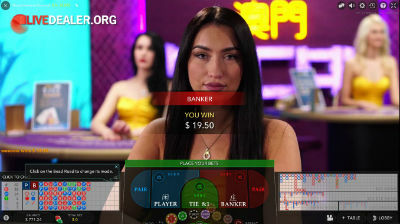 Play the Riga studio table, or Soho Poker from the Romanian studio (pictured). Another house poker version. Here you are trying to beat the dealer’s 3 card poker hand. 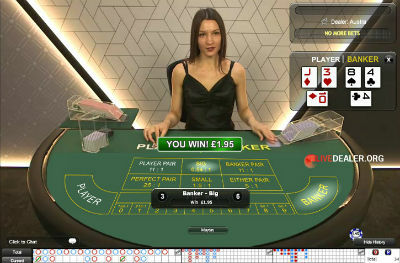 Hi-Lo (pictured), simpy bet on whether the next drawn card is higher or lower than the previous (base card) with payouts automatically updated to reflect base card. Spin A Win, the Big Money Wheel game from Playtech. What can I say…just a sucker for those Playtech dealers. 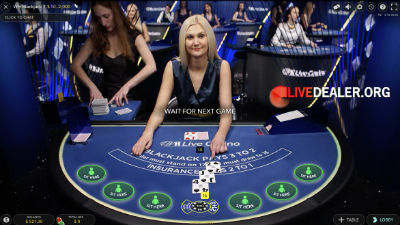 Throw in arguably the most ambient dealer studio and a game UI that delivers it all beautifully and simply, but rich in features and you’ve got a pretty appealing live games offering. great dealers…I know it’s about winning, but they do make losing more tolerable…and winning very enjoyable! WH is the best casino i’ve played in. Just wow, game selection and professionalism is amazing. Last week i sign in and made first deposit. at first i was surfing around and landed at live casino. I ask to the dealers some questions about the game. At the end of the night the system blocked me from the chat. According to customerservice, i talked to much and did not play… thats total BS.This happend on my very first day at WH. I’ve just read Anonymous’ review (Jan17). 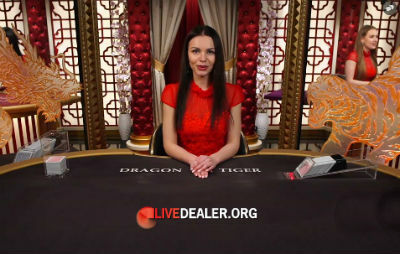 The worst part being the total lack of any warning or explanation from the live Hosts, and so players having to contact WH’s customer support, then being asked to wait 48hours while support contacted the live casino to be provided with an explanation/excuse.